When it comes to holiday themed foods, I think Halloween has the cutest and most creative options out there. From Witch’s Brooms to Apple Monster Mouths, there are so many cute Halloween treats you can make. Whether you are wanting to make a simple snack for your kids or you need several ideas for a full-blown Halloween party, you always have plenty of options. 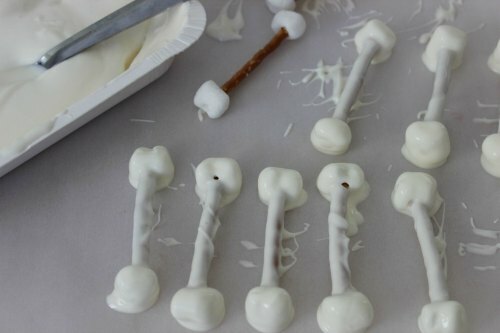 One fun Halloween treat I love to make is Skeleton Pretzel Bones. They are a ton of fun to make, and they look really cute set out on a platter. Plus, they aren’t a finicky treat, either. You don’t have to use a steady hand to frost them a certain way or to stick all sorts of intricate details into place. 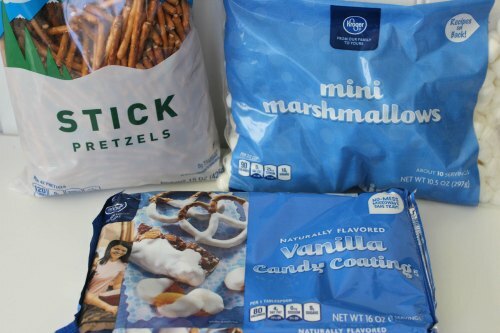 Just stick the marshmallows on the pretzels and then dunk the whole thing into the melted white chocolate. It’s okay if they are messy! They are supposed to be! Another thing I love about these Skeleton Pretzel Bones is the fact that you can make them ahead of time. While you won’t want to make them several days in advance, if you are taking them in to your child’s school for a Halloween party, it’s perfect fine to make them the night before. Fresher is better, but it’s okay if you don’t eat them immediately. 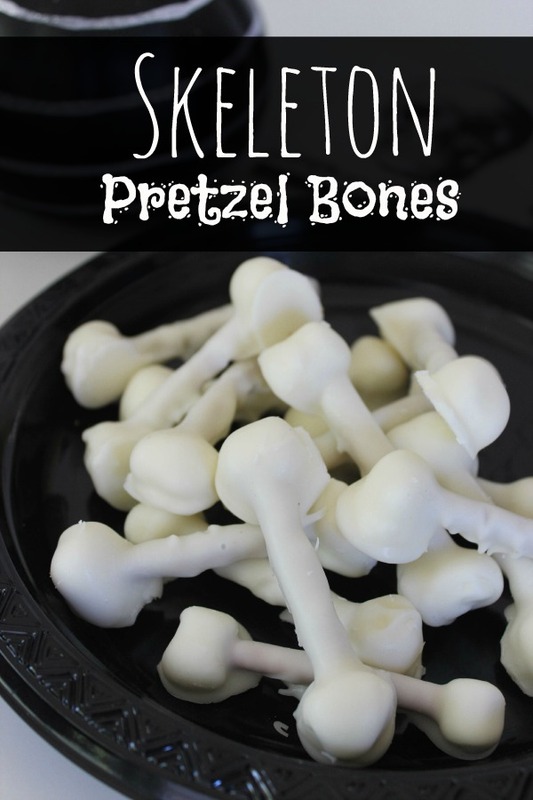 If you are looking for fun and spooky Halloween treats, these Skeleton Pretzel Bones are a great option. 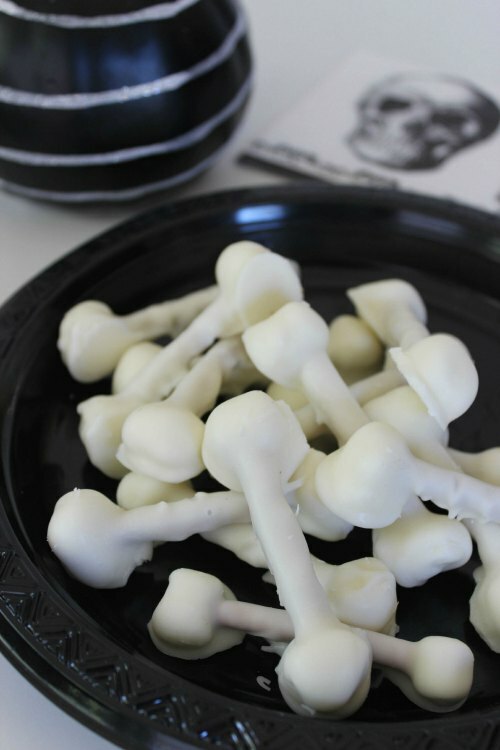 Have your kids help you make them; they will really get a kick out of these spooky treats!